Our La Cultura Cura Familias mentoring program connects young moms ages 14-24 or expecting moms with community mentors. The goal is that the mentors provide support, motivation and resources for the young mothers to help them stay/finish school, protect their overall health and be successful in their parenting. A degree is not required - our mentors can be professionals, students or community members that simply want to give back. 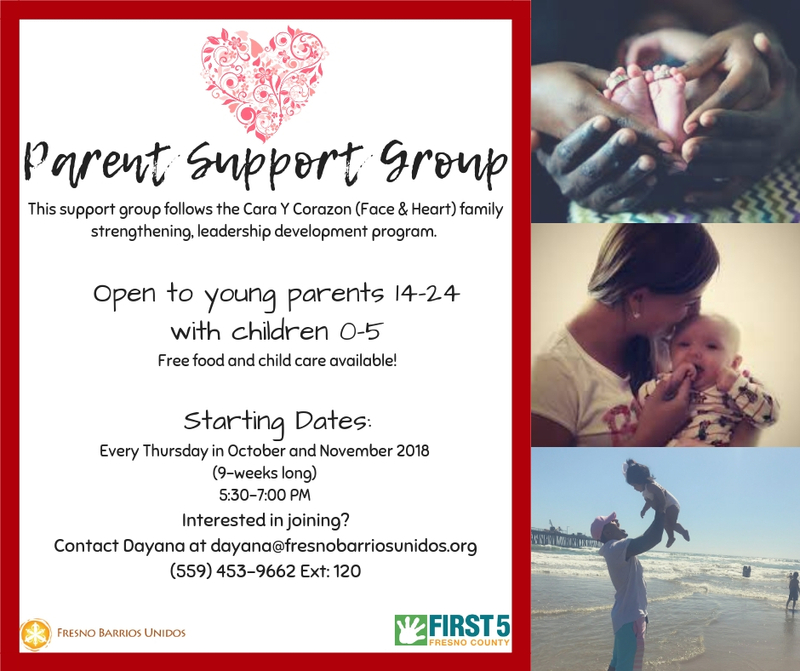 Our Cara y Corazon (Face & Heart) family support group is a strengthening and leadership development program. It is open to young parents ages 14-24 with children 0-5 years old. The program is 9 weeks long. We meet once a week. The program will cover topics on expressing strengths, breaking cycles, healthy relationships, child development, goal setting and discipline. We ask that our parent brings another person who serves as support with their child/children. This could be a partner, family member, or parent. After the 9 sessions, each member will receive a certificate of completion for this Parent Support Group. Upon graduation, graduates are invited to join our monthly Parent Circulo, a ceremony for reflection and healing.